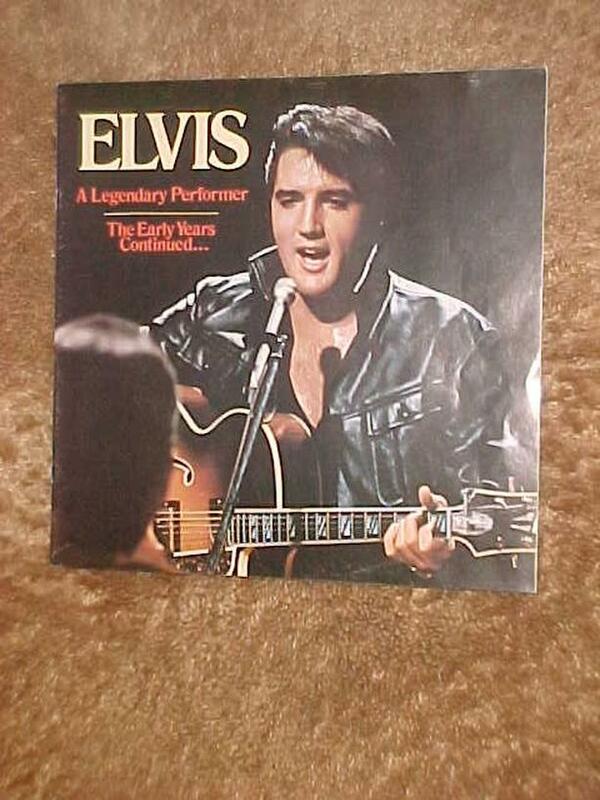 THIS BOOKLET, ELVIS A LEGENDARY PERFORMER - THE EARLY YEARS, WAS PRODUCED IN 1076. IT IS A PAPERBACK WITH NO RIPS OR TEARS. EVERYTHING IS INTACT. THERE ARE LOTS OF PICTURES AND ARTICLES. IT MEASURES 11 ¼" BY 11 ¼" AND HAS 12 PAGES. IT IS IN REMARKABLY GOOD CONDITION. SEVERAL ELVIS RECORDS ARE AVAILABLE.